Censorship, the persecution of writers and the prohibition of their texts motivated by political interests and attempting to influence our thoughts, our ideas, and our bodies, are once again widespread today. The Parthenon of Books is a symbol of opposition to the banning of writings and the persecution of their authors. 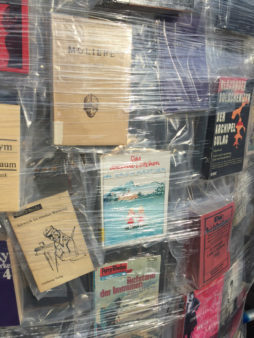 To realize this work, the Argentine artist Marta Minujín and the documenta 14 team—in collaboration with the Frankfurter Buchmesse—are collecting books that have now been published anew after having been banned for years as well as those that are distributed legally in some countries but not in others. Everyone is cordially invited to donate books and thus become part of the artwork. 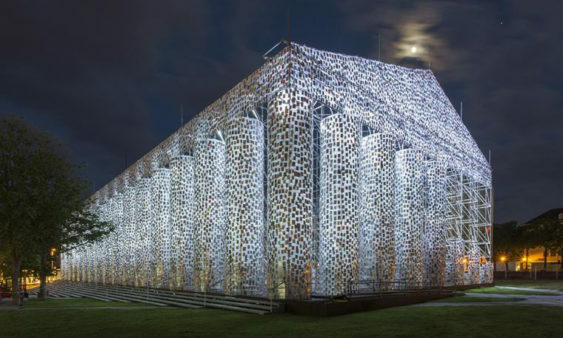 The installation The Parthenon of Books will be presented in Kassel as a replica of the temple on the Acropolis in Athens, which symbolizes the aesthetic and political ideals of the world’s first democracy. 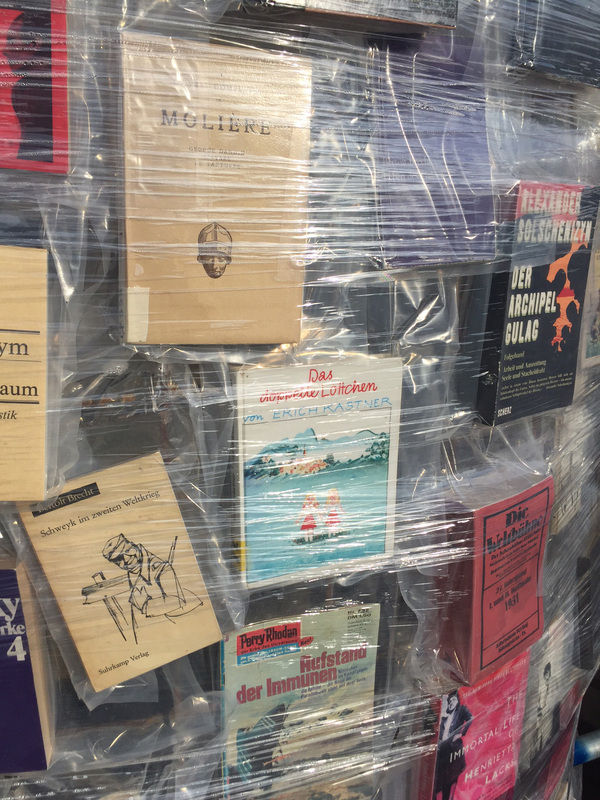 Composed of as many as 100,000 banned books from all over the world, the work will be erected on Friedrichsplatz in Kassel, where some two thousand books were burned during the so-called “Aktion wider den undeutschen Geist” (Campaign against the Un-German Spirit). In 1941, the Fridericianum—which was still being used as a library at the time—was engulfed in flames during an Allied bombing attack, and another collection of some 350,000 books was lost. Minujín’s The Parthenon of Books traces its origins to an installation titled El Partenón de libros, which was realized in 1983, shortly after the collapse of the civilian-military dictatorship in Argentina, and presented the very books that had been banned by the ruling junta. After five days of exhibition, two cranes tipped the building slightly to one side, allowing viewers to remove the books and take them home. A public action devoted to returning the once-forbidden books to circulation is also being planned for the new Parthenon at the end of documenta 14. 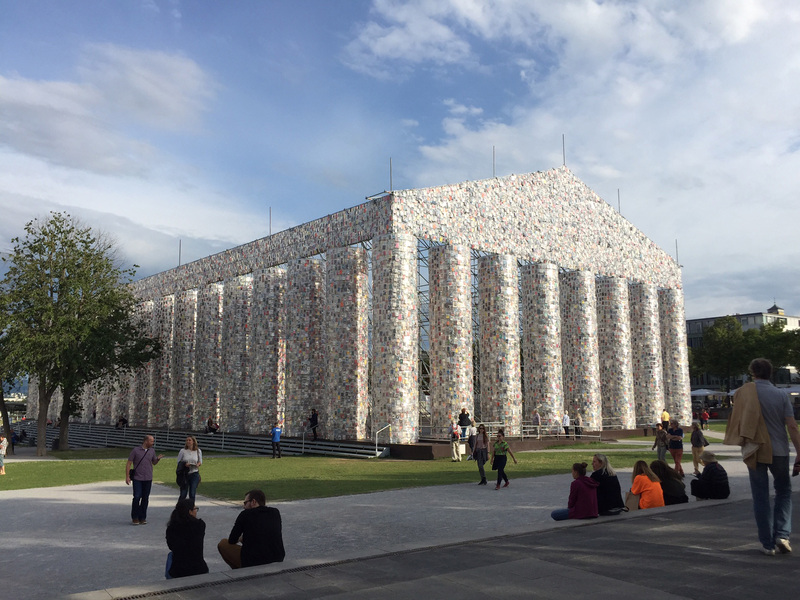 The groundbreaking for the first artistic work of documenta 14 titled The Parthenon of Books is planned for 3 pm on October 22, 2016, at Friedrichsplatz in Kassel.